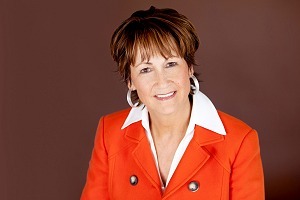 Karen M. Cecile – Financial Designs Ltd.
Karen M. Cecile joined Financial Designs Ltd. (FDL) in 1992 and serves as Chief Operating Officer. In her role she oversees daily operations, financial performance, strategy, organizational growth for the company, and new client development. Karen has been active in the financial services industry for 25 years. Prior to joining FDL, she held positions at Mutual of New York and built a start-up agency that supported producer groups in the affluent market, and managed underwriting and new business divisions for the company. Karen has an Executive MBA from the University of Denver, an MA in psychology from the Ohio State University, and a BA in psychology from Syracuse University. She is FDL’s supervisory Principal and a FINRA Licensed General Securities and General Principal Representative. Karen has served on the board of the Griffiths Center for Children, and is involved with the Gathering Place, Executive Women’s Golf Association, and Judi’s House. She is also a member of the Women’s Estate Planning Council. Karen and her husband, Paul, reside in Castle Pines, Colorado. Her leisure activities include golf, skiing, and horseback riding. Securities and Investment Advisory Services Offered Through M Holdings Securities, Inc. A Registered Broker/Dealer and Investment Advisor, Member Member FINRA / SIPC. Financial Designs Ltd. is independently owned and operated. Financial Designs Ltd. is a Member Firm of M Financial Group. Please go to http://mfin.com/DisclosureStatement.htm for further details regarding this relationship.